What better way to get back in to work with your own personal benchtop power supply. 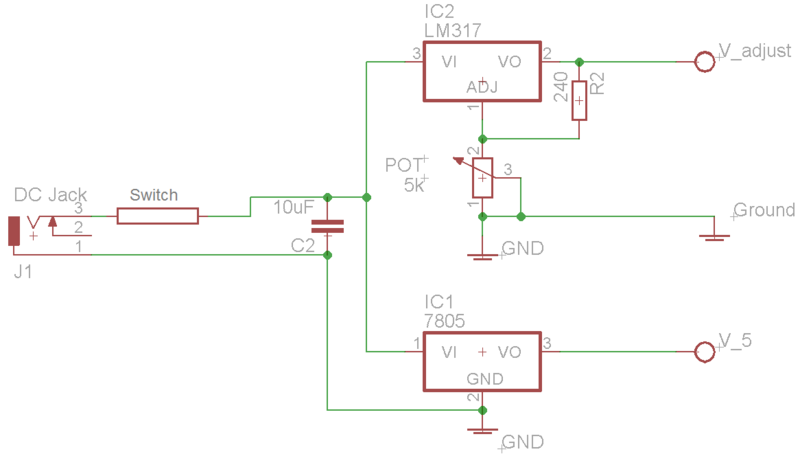 Uses a LM317 for power output and provides a separate 5V rail. You will need a power supply higher than 7V to power this unit, and it will only be able to power up to 2V less than the power you give it. ● If you want to have an adjustable 2-28V supply, you will have to use a 30V power supply. 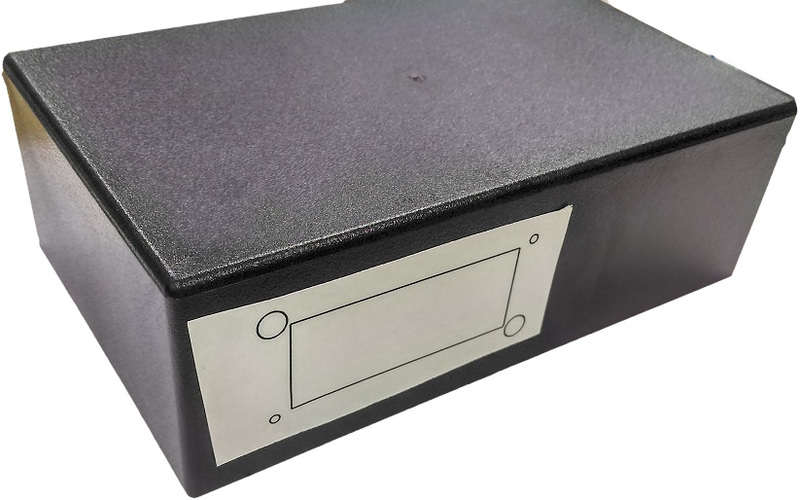 ● If you give it a 17V power supply, it will be adjustable between 2V and 15V. ● In this project we have allowed you to select your own power sockets and knob for the adjust. You could use the same PS042X series that we have, or use something like the PT045X series. The choice is really up to you. ● You will also need some wires to connect different components together, if you don't have it already, the WH3009 8 Colour pack is a good choice to have in your workshop. ● WT5320 Banana lead to Alligator clips is a great addition for this project as you can start using it right away once you've finished. 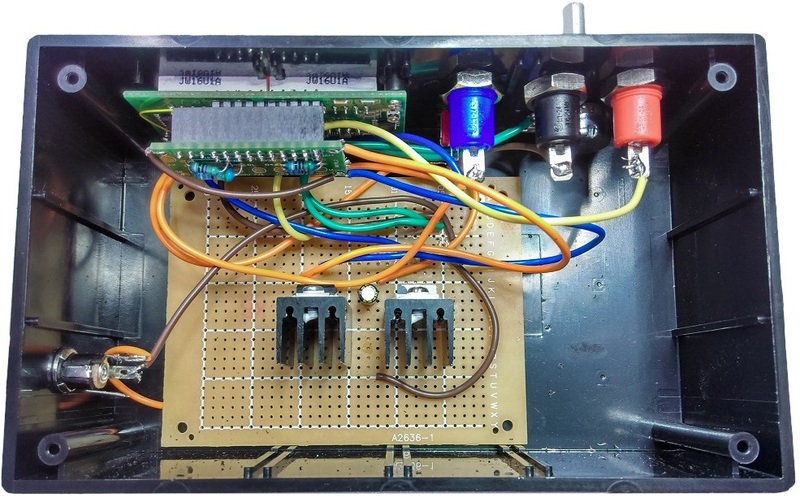 ● Good Power supply design includes fuses (SF2160) and fuse holders (SZ2028), however this is simply more as a guide to get your feet wet; If you want to include fuses, wire them inline right between the switch and DC socket. The basic connections are as above. You're simply setting up two regulators from the same power supply, and having a common ground connection going through to the front panel. 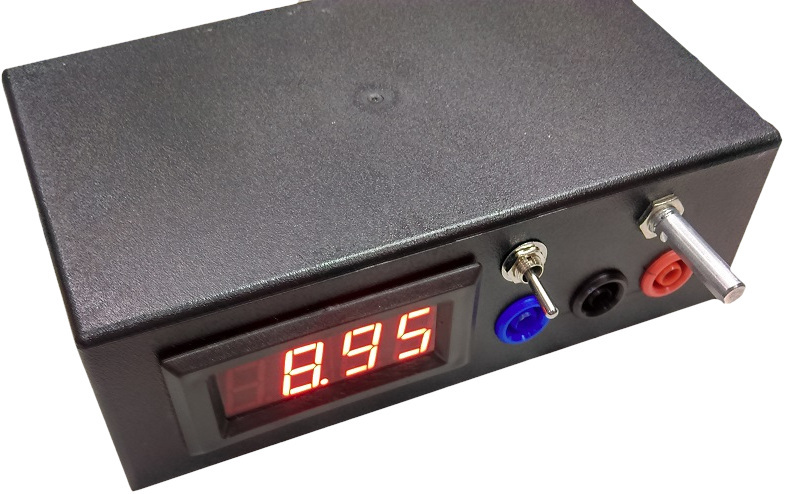 The QP panel meter will measure the voltage on the LM317 so that you have feedback on what voltage you're providing. 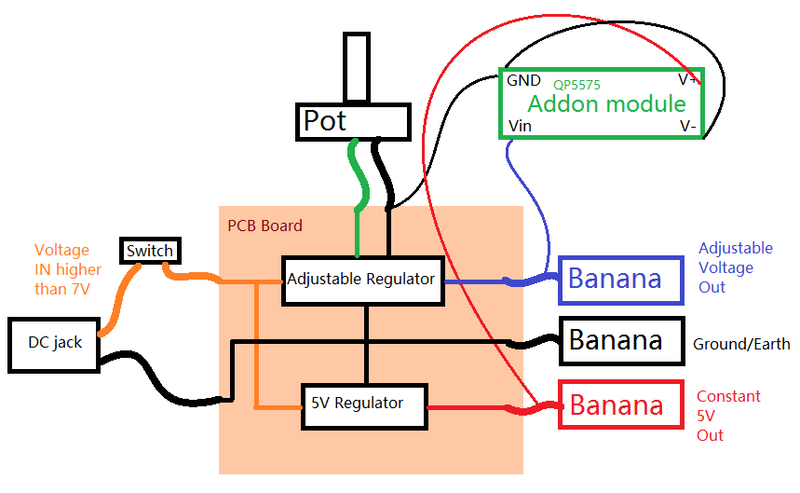 We've tried to make a fritizing diagram to make the idea easier to transfer to the PCB board. ● Teal connection (Vin) goes through a switch to the DC power socket. ● Left V-REG is the 7805 5V regulator, Right V-REG is the LM317. 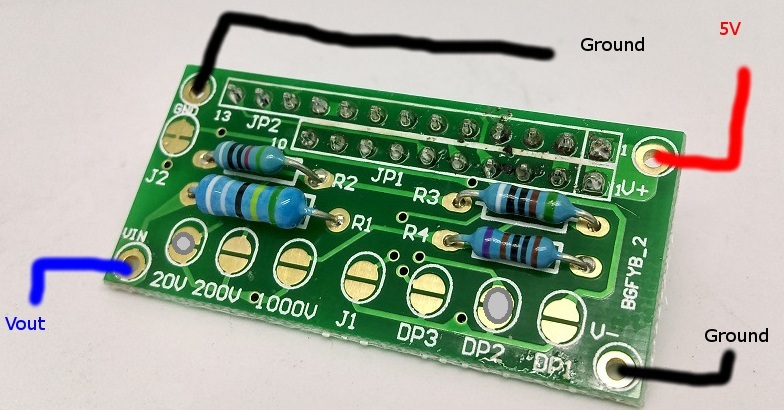 ● Potentiometer fits between pin 1 of the LM317 and ground. 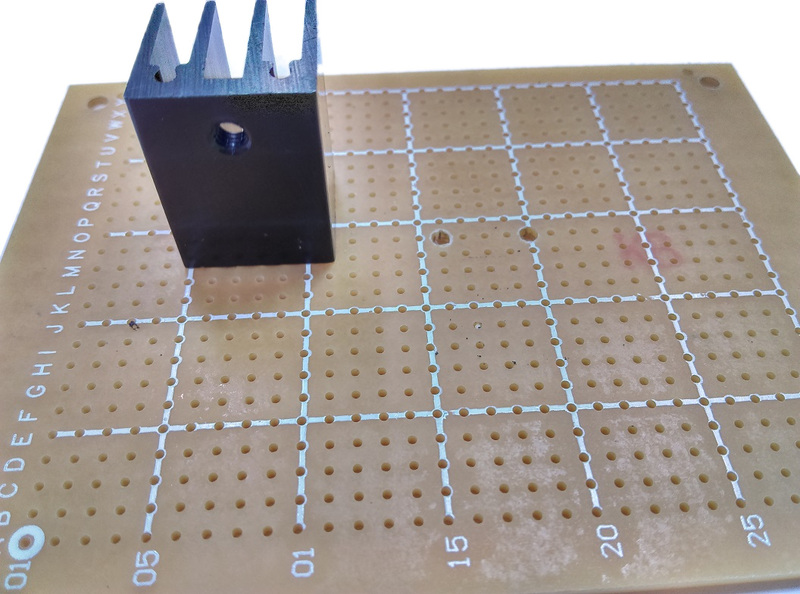 For building the actual unit, it's easier to put in the heatsinks first, by drilling out some small 2-3mm holes to fit in the legs of the heatsinks. Then place in the regulators. 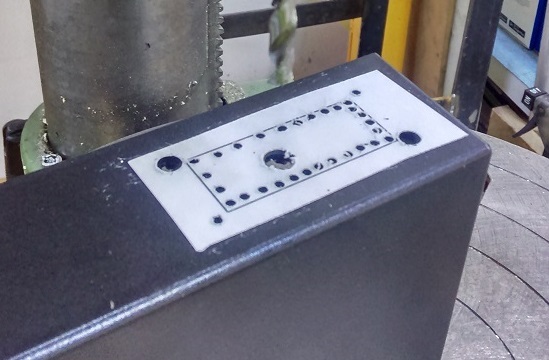 Once it on, try drilling some of it out, or use a band-saw or similar to carefully cut around the outline of the display. You can then place and drill out the remaining components, which are all circular. When connecting up the circuit board, make sure no part of the circuit is touching any other part it shouldn't; shorting these components have the potential to cause a bit of a bang. 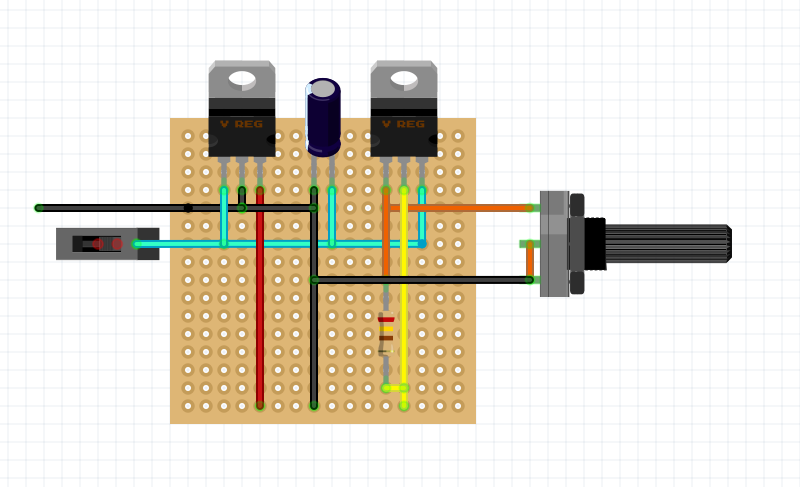 Once the minimal circuit is connected up, Test the voltages you get from the regulators before you continue on placing everything in, as it will be easier to fix problems now, rather than later. You also need to bridge solder over the 20V and the DP2 pads. this is so the module knows what it is displaying and we know what it's reading. We've made little MS-paint solder so you can see. 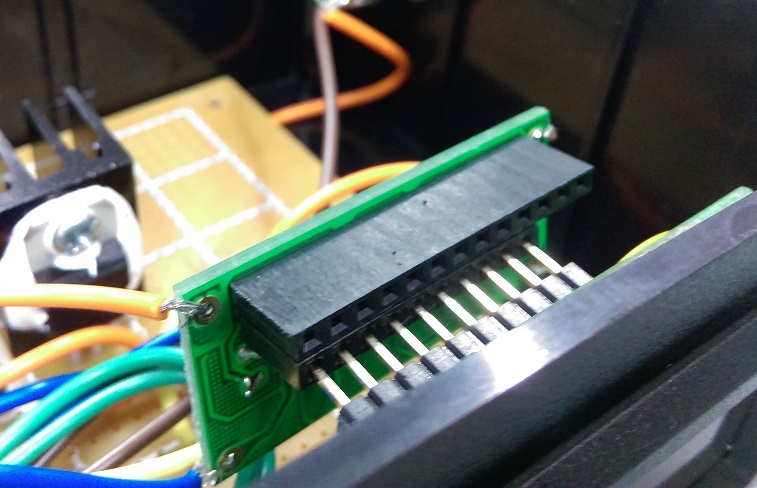 When the LCD Panel is mounted to the chassis, the addon module connects directly onto the pins of the LCD module, using the shorter row of pins, and being the leftmost pin. Simply flick the unit on, adjust it to the voltage required, and plug in your banana leads. If you want attach a knob, simply cut down the size of the potentiometer.